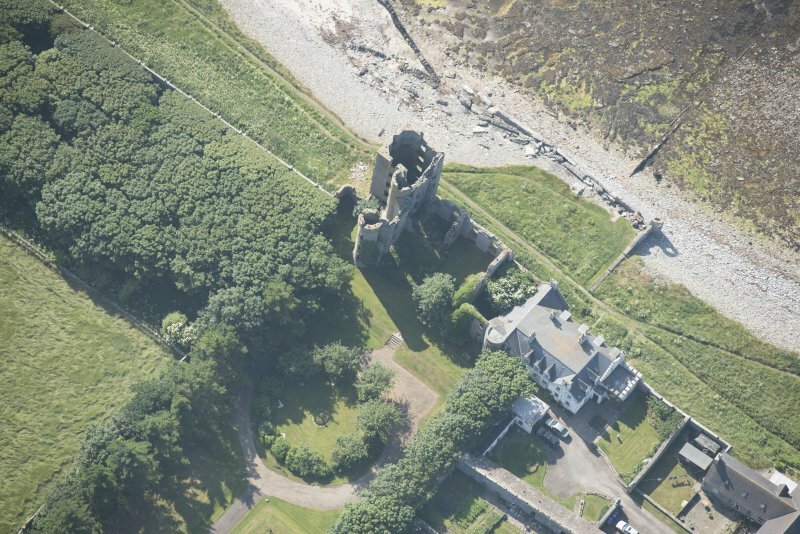 Oblique aerial view centred on the remains of the castle with the farmsteading adjacent, taken from the N.
Oblique aerial view centred on the remains of the castle with the farmsteading adjacent, taken from the WSW. 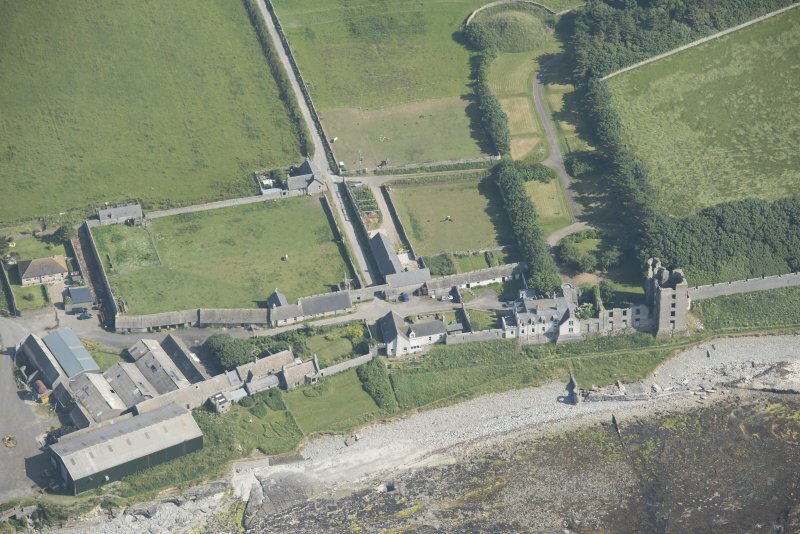 Oblique aerial view centred on the remains of the castle with the farmsteading adjacent, taken from the WNW. 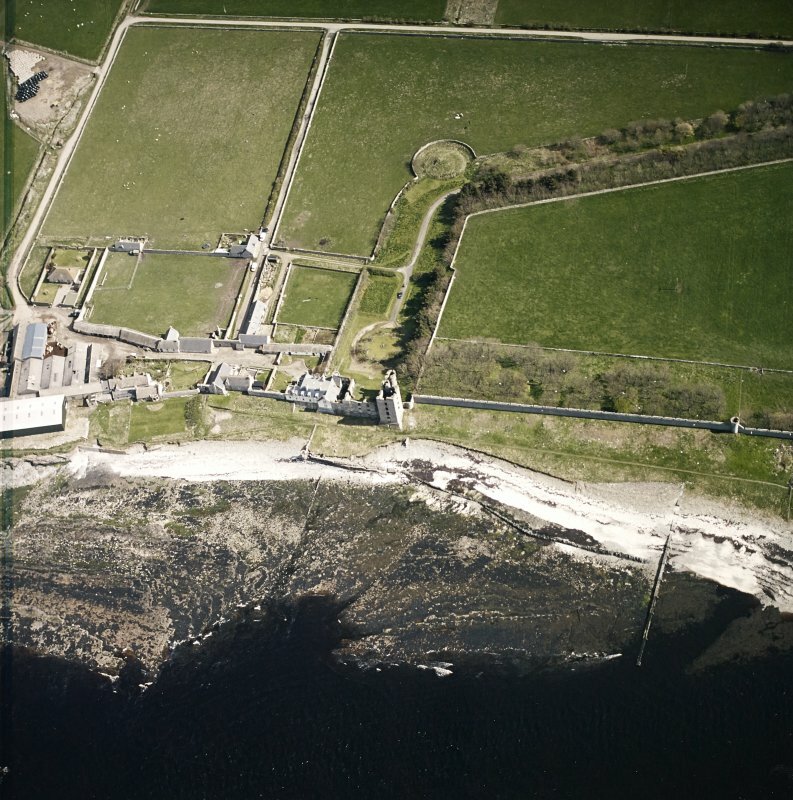 Oblique aerial view of Thurso Castle, looking to the W.
Oblique aerial view of Thurso Castle and East Mains farmstead, looking to the ENE. 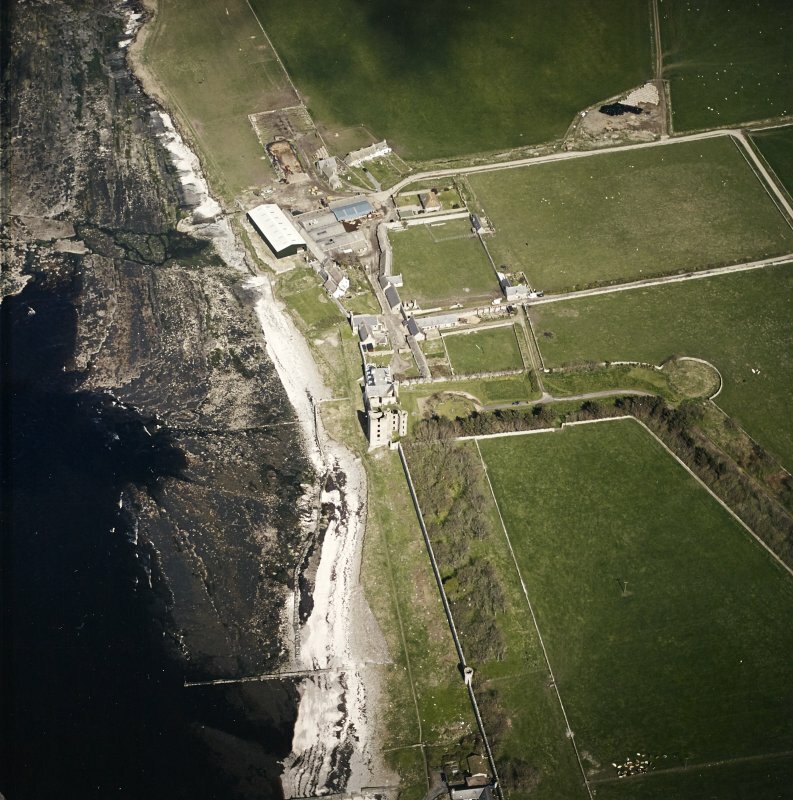 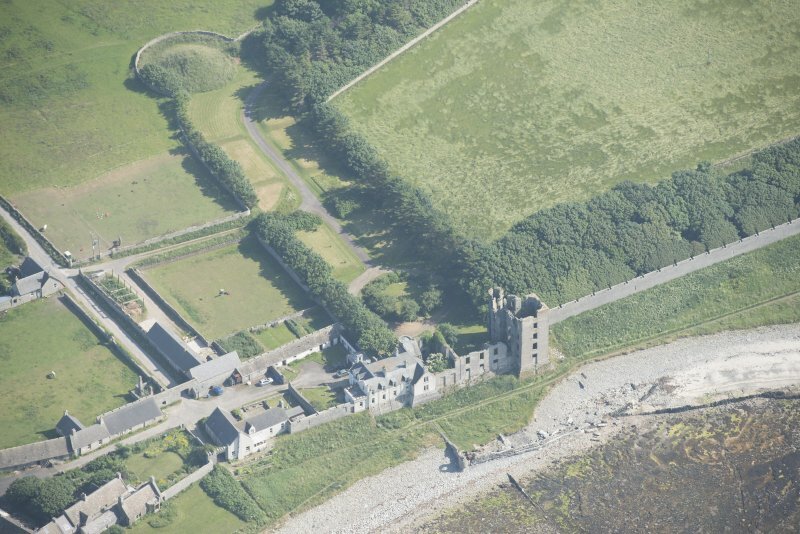 Oblique aerial view of Thurso Castle and East Mains farmstead, looking to the ESE. 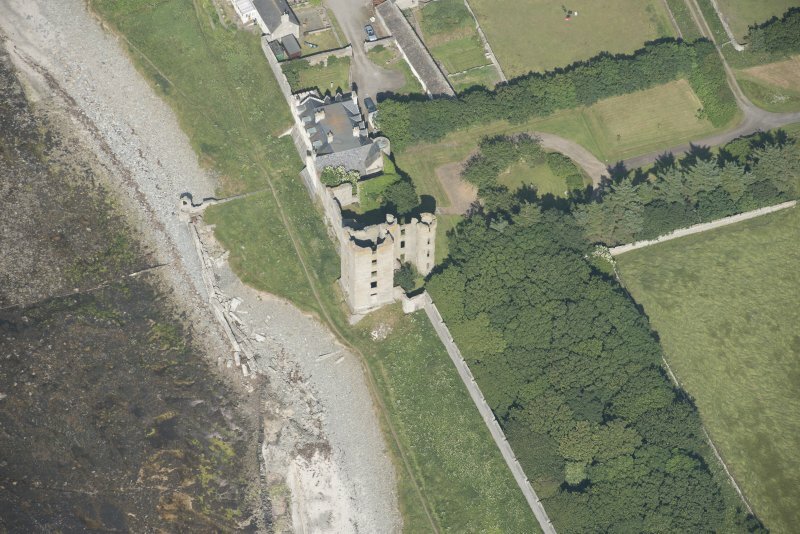 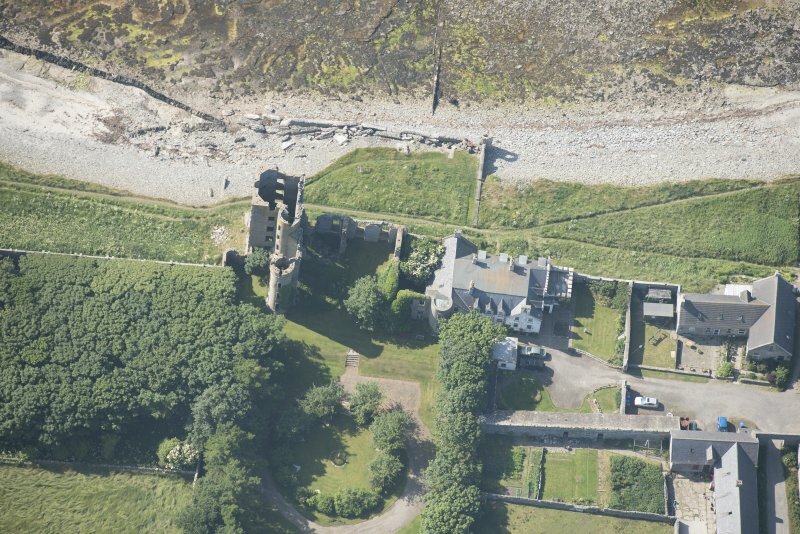 Oblique aerial view of Thurso Castle, looking to the SNE. 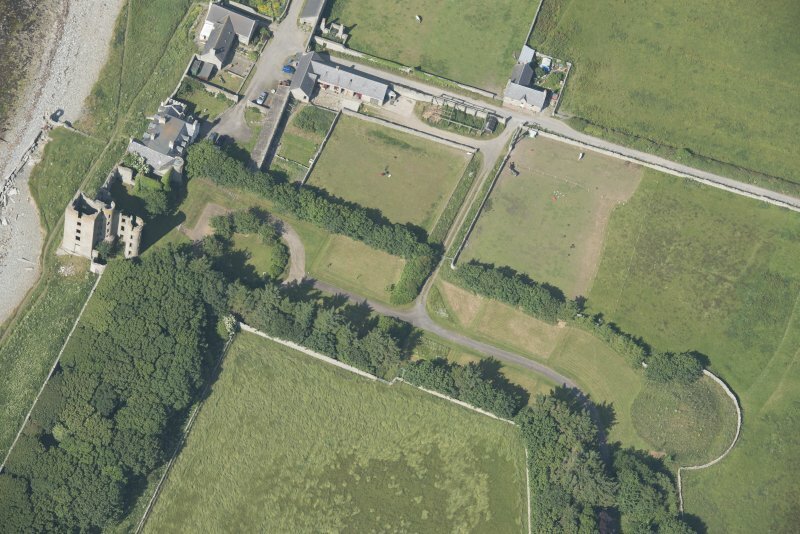 Oblique aerial view of Thurso Castle and East Mains farmstead, looking to the NE. 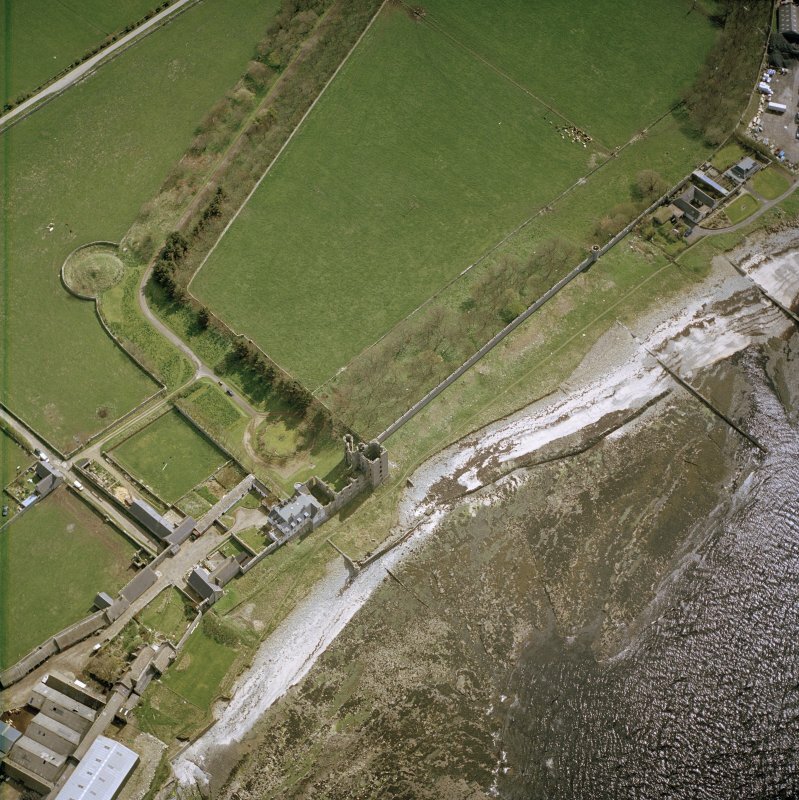 Oblique aerial view of Thurso Castle and East Mains farmstead, looking to the SE. 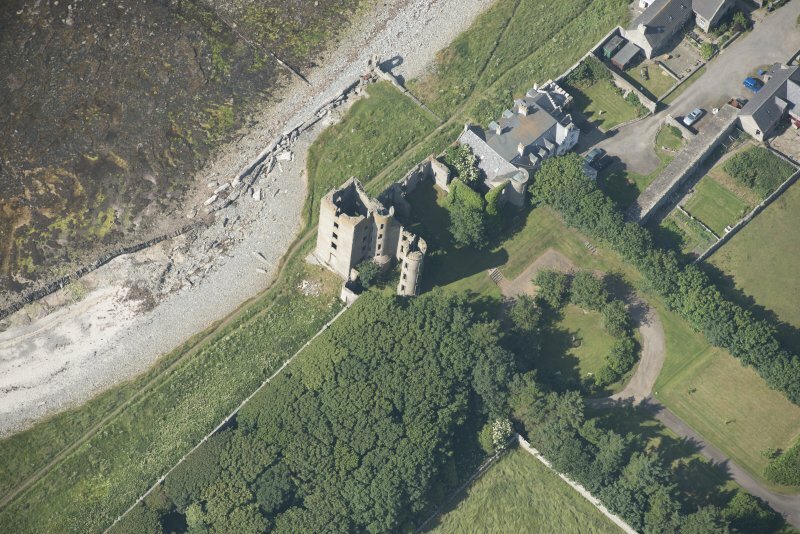 Oblique aerial view of Thurso Castle, looking to the SW.
Oblique aerial view of Thurso Castle and East Mains farmstead, looking to the SSE. 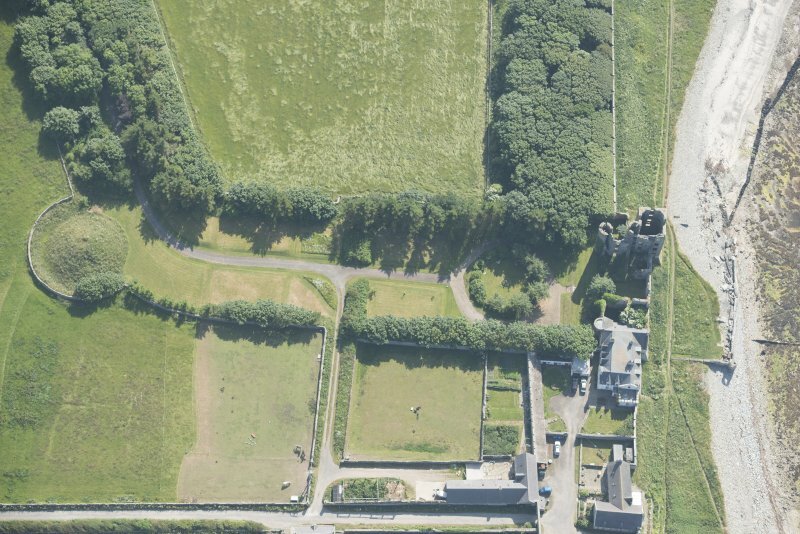 Oblique aerial view centred on the remains of the castle with the farmsteading adjacent, taken from the NW. 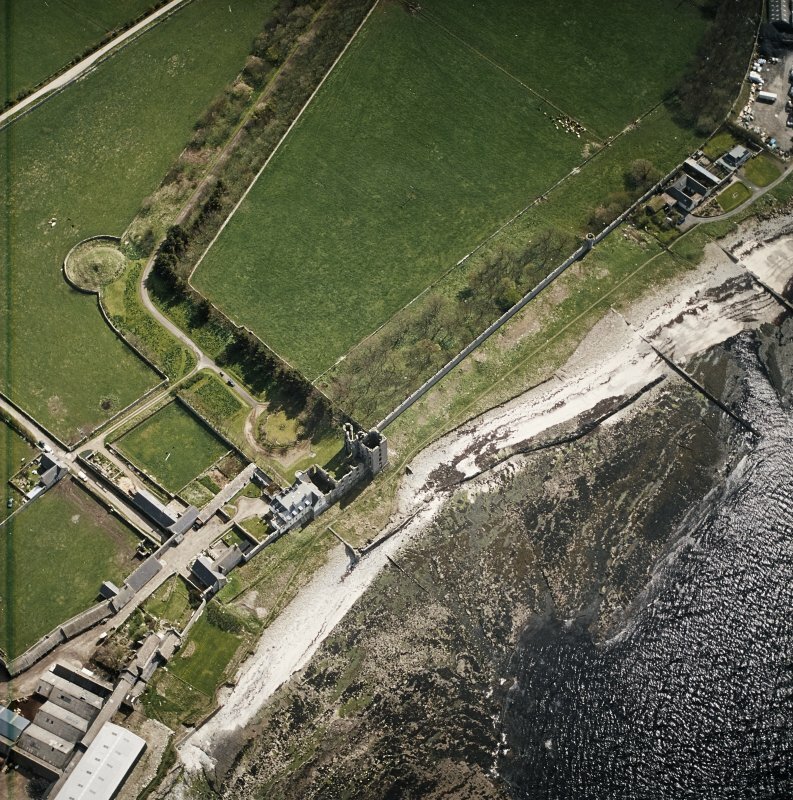 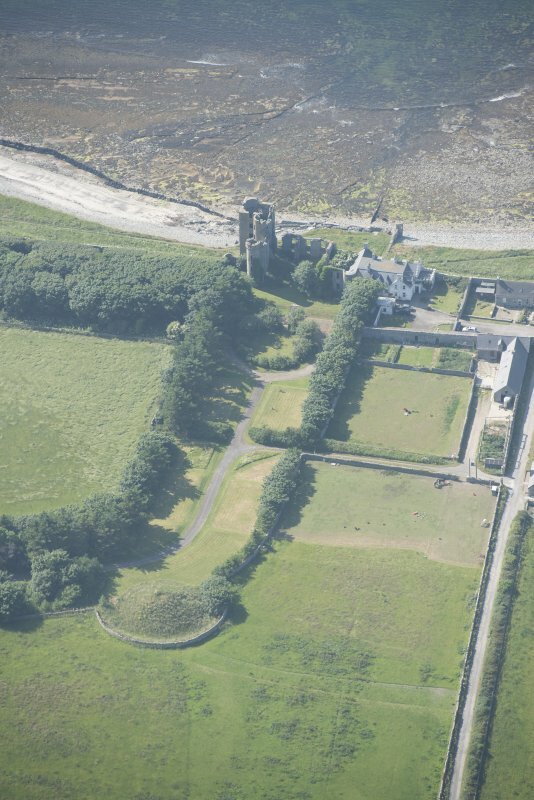 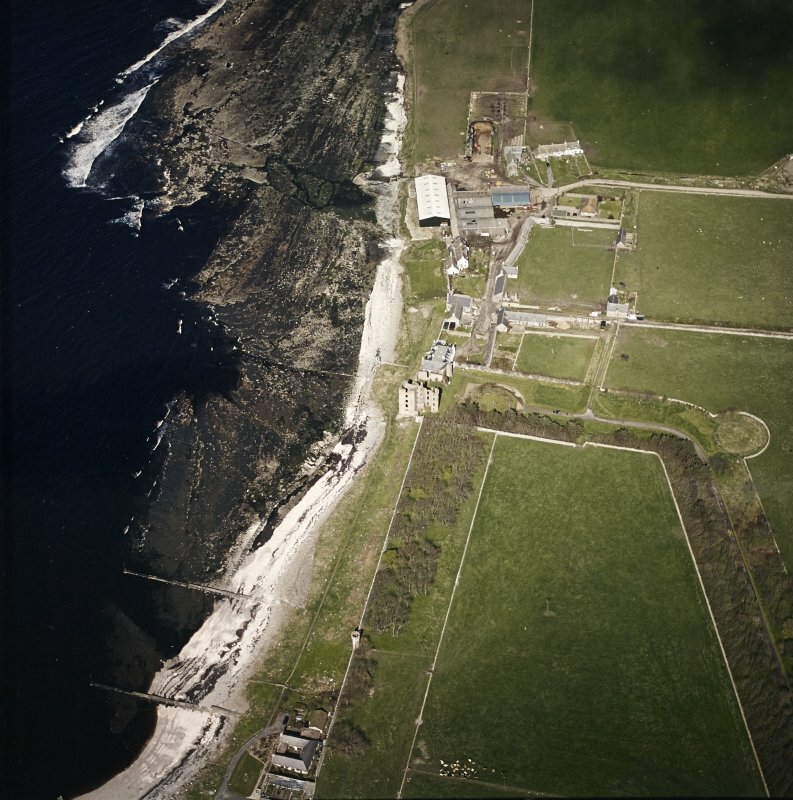 Oblique aerial view of Thurso Castle and East Mains farmstead, looking to the WNW. 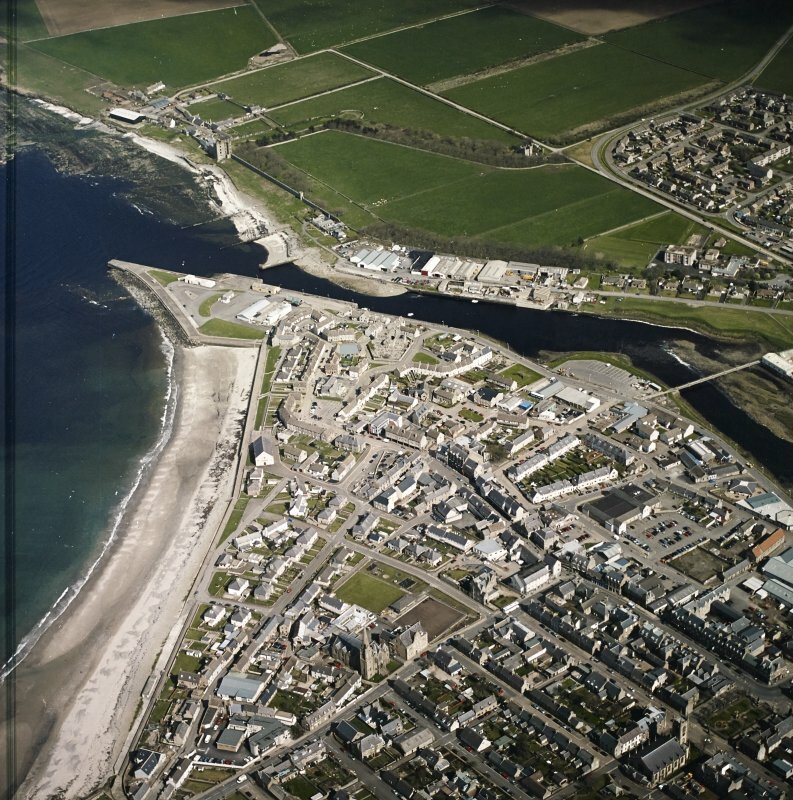 Oblique aerial view centred on the remains of the castle with the farmsteading adjacent, taken from the SW.
General oblique aerial view of Thurso centred on the harbour and church with the castle adjacent, taken from the W.
Oblique aerial view of Thurso Castle, looking to the SE. 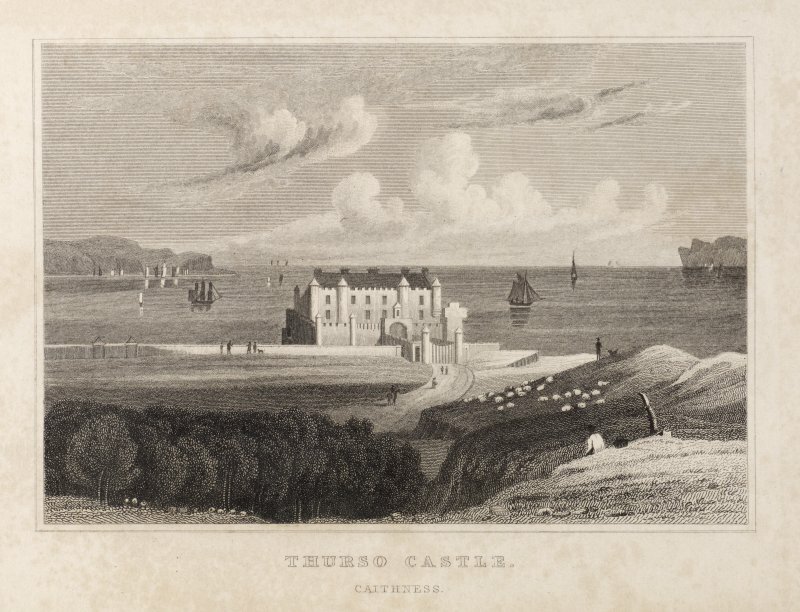 Thurso Castle is a magnificent building built in 1664, repaired and enlarged in 1806 and 1835, and is at present undergoing extensive repairs, which, when completed, will show none of the old building to the fore. 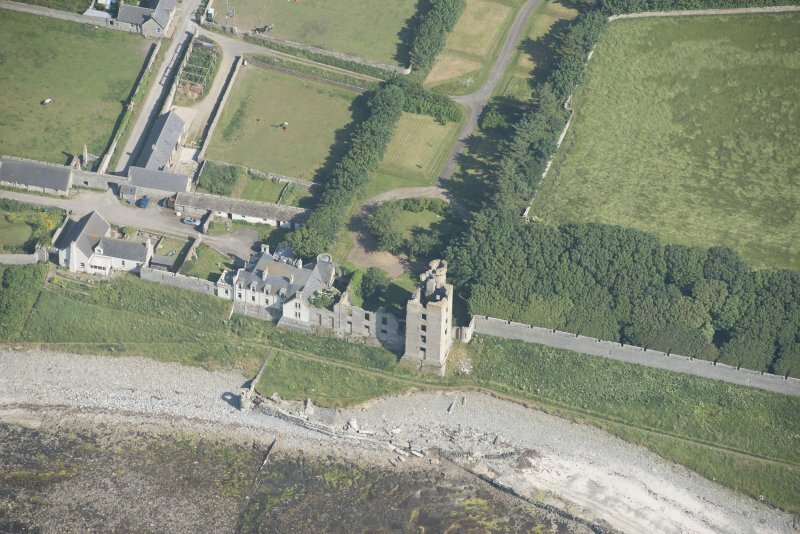 This castle no longer exists. 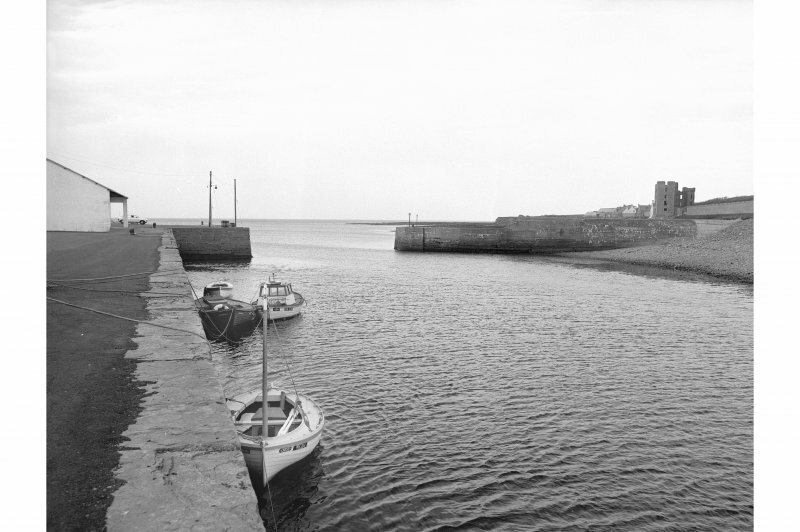 Erected in 1660 by George, Earl of Caithness, it was removed to make way for the existing castle built about 1875. 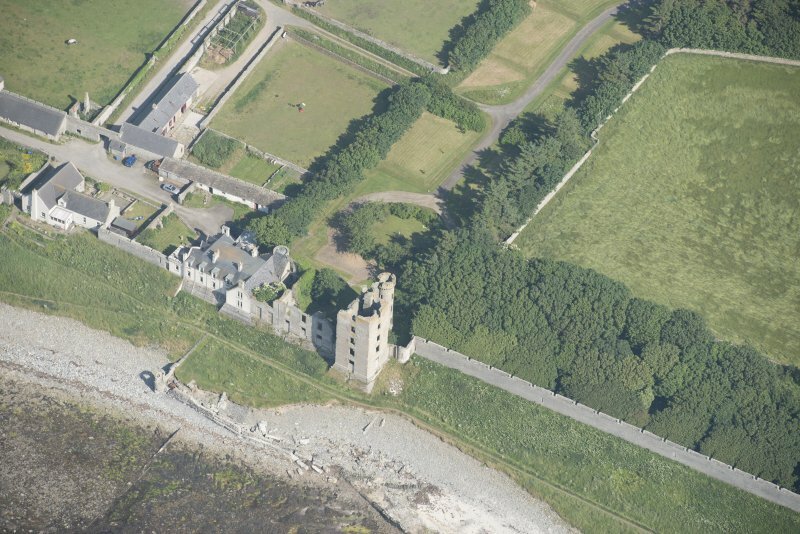 The old mansion was a fine example of the Scottish style of its date. 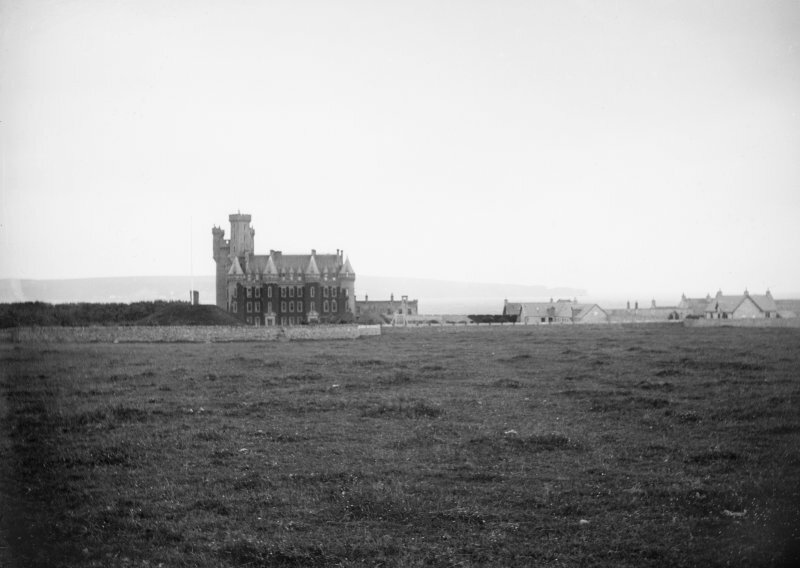 Visited by OS (E G C) 18 April 1962. 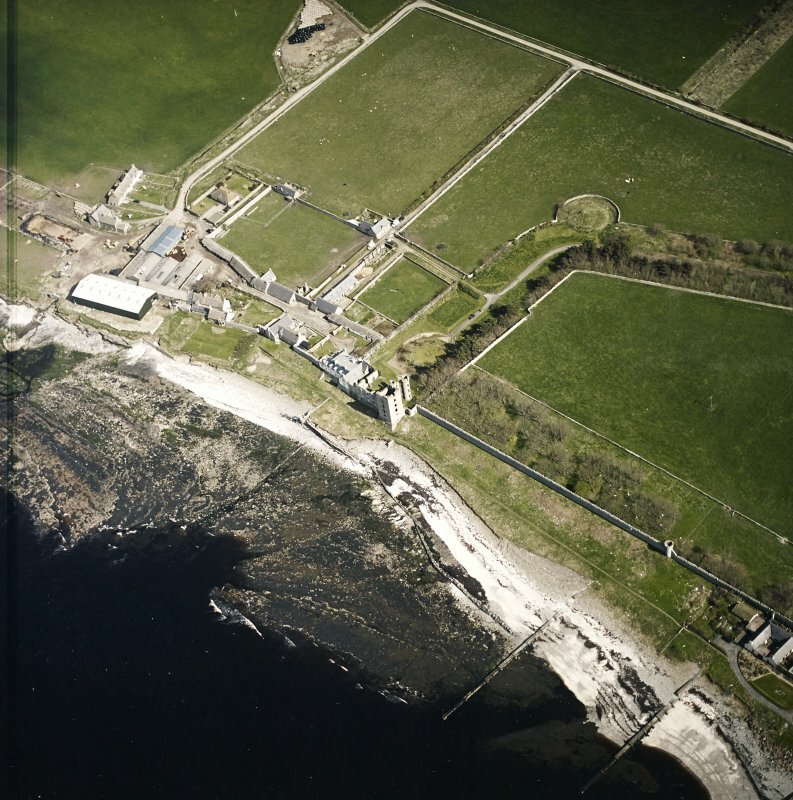 Visited by OS (J M) 1 October 1981.